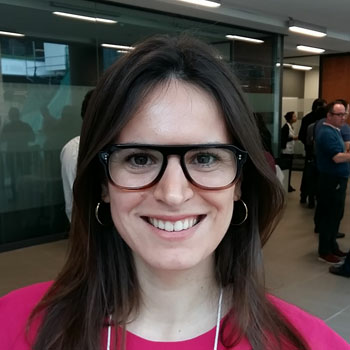 Claudia Iglesias, 3rd year PhD student (Marketing) is the 2018 winner of the Aidan Tracey Scholarship for a research proposal pertaining to experiential and social media marketing. Claudia's proposal is titled "Hey Brands! Maybe You Should Stop Taking Selfies With Your Consumers: Branded-Self-Awareness and its Consequences to Consumers Behavior". With this research, she will examine the effect of branded-self-awareness (such as awareness triggered by selfies) on consumer behavior in the context of social media marketing. The adjudication committee was chaired by Zhenfeng Ma, and included Kalyani Menon, Sarah Wilner, Hae Joo Kim, Ammara Mahmood, Grant Packard and Tripat Gill.